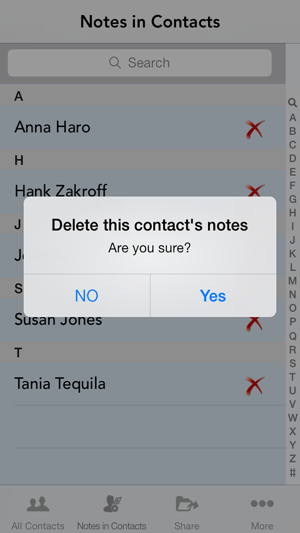 Notes in Contacts - the smart iOS app is now here. 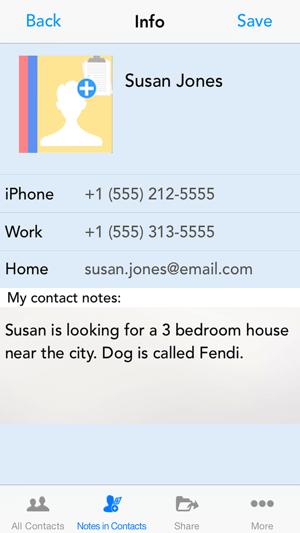 Make a lasting impression with your clients and grow your sales further with this app, Notes in Contacts. With so many business contacts in your phone it's almost impossible to remember what each prospective client is calling you about. But don't worry, the days of guessing why potential customers are calling you are over. Thanks to this app, you will know and remember about who is calling you even before you answer your phone. 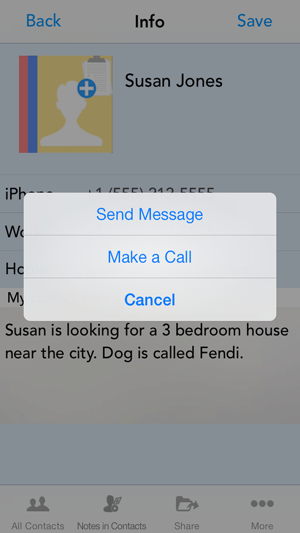 Immediately your phone rings, this app will show you vital details about the caller: their business needs, where you met, even their pet's name etc. Imagine the instant connection and lasting impression you'll make when a potential customer you met briefly weeks ago calls you, and you remember all their relevant details - it will boost your level of customer service and it just might make the sale a bit easier. Everyone will marvel at your incredible memory, customer focus and attention to detail… as you know, these are key ingredients for building trust with clients and ultimately making more sales. The power of this app is in its simplicity and effectiveness. 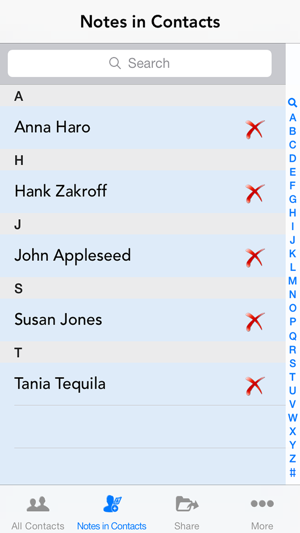 Store information (metadata) against your contacts' names and you will see the info when next they call you; update the notes whenever you like, and you will see the updated info next time they call you; and when you no longer need to see their info when they are calling, just delete the "Notes in Contacts" entry. It's that simple. Don't worry though, your phone contacts will remain intact. Next time a potential customer calls you, rather than asking embarrassingly "I'm sorry, what are you calling about? ", you say confidently "So Susan, how's your search going for a 3 bedroom house near the city? 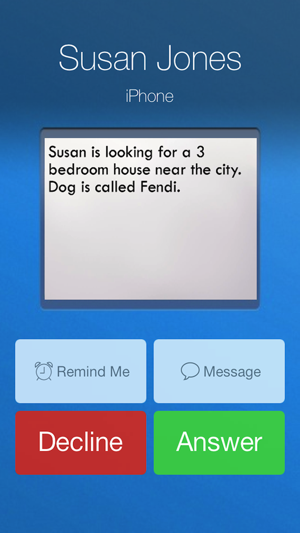 Your dog Fendi does need a backyard to play in"
Build and nurture your customer relationships to your advantage. Do not delay, download now and see your customer service levels and sales increase. 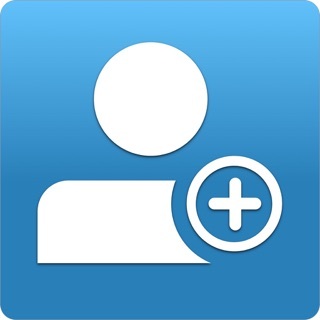 Contact us via the Support link or through the app if you have any issues, rather than leave negative reviews. Our team will aim to help you better use the app and assist with any issues. Updated for iOS 11 and fixed minor bugs. Thanks for your continued support and loyalty!